Do you adore the natural beauty and scent of roses? Do you sometimes find yourself with a supply of fresh (or dried) rose petals and aren't quite sure what to do with them? 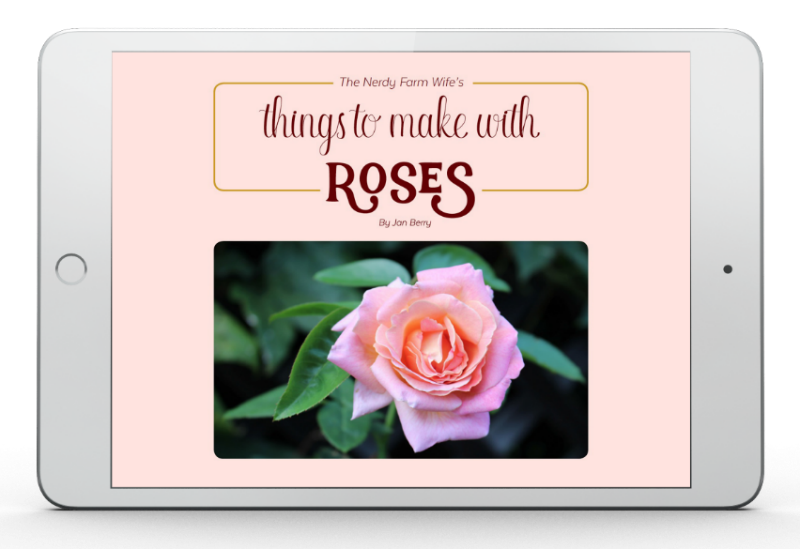 If so, then my ebook, Things to Make With Roses, was written especially for you! 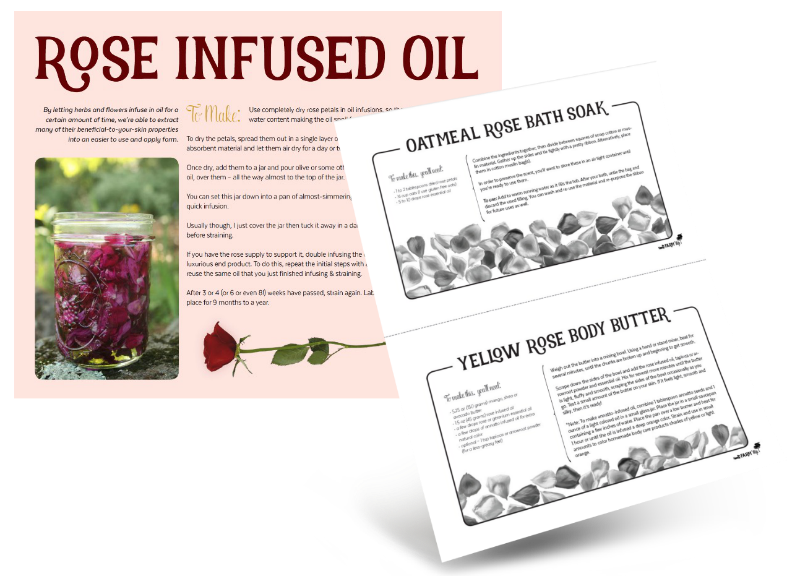 Within its pages, you'll find instructions for making scrumptious rosy-themed body care products and helpful herbal home remedies, along with a smattering of delightfully delicious sweet treats. 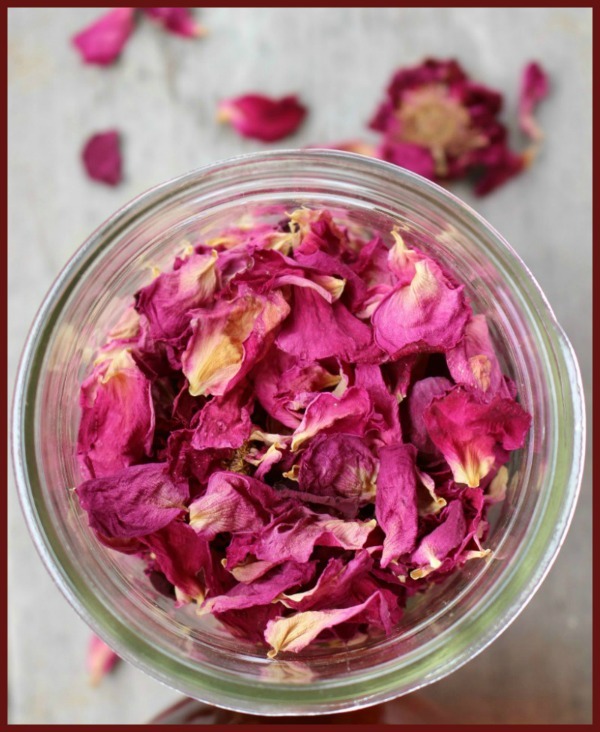 I'll teach you how to infuse and use those lovely rose petals in a variety of ways so you can enjoy them all year long! Inside Things to Make With Roses, you'll find 40 of my favorite rose-themed recipes such as Yellow Rose Body Butter, Peppermint Rose Lip Balm, Strawberry Rose Freezer Jam and more! Each purchase comes with a free set of ten printable labels & tags for those handmade creations you'll want to share with the ones you love! Is this ebook available in print? No, this is a digital product only. The companion recipe cards have been specially formatted so you can print out the recipes in black & white, in order to save ink. When will I get my download link? Immediately after purchase, a download link should appear on your screen. You'll also get a followup email from the shopping cart system (SendOwl) containing your download link. If you don't get this email (and it's not in your spam folder) within an hour or two - please contact me right away at hello @ thenerdyfarmwife.com so I can get your purchase to you in a timely manner. If you ever lose the download link or it expires, just let me know and I'm happy to send you a new one.